Academy students will learn about their unthinkables and how to train them to think with their eyes, detect difficult situations and increase their ability to make flexible decisions. This group is targeted at 6-10 year olds. Increase awareness of situations where unthinkables lurk. Learn ways to be flexible thinkers. 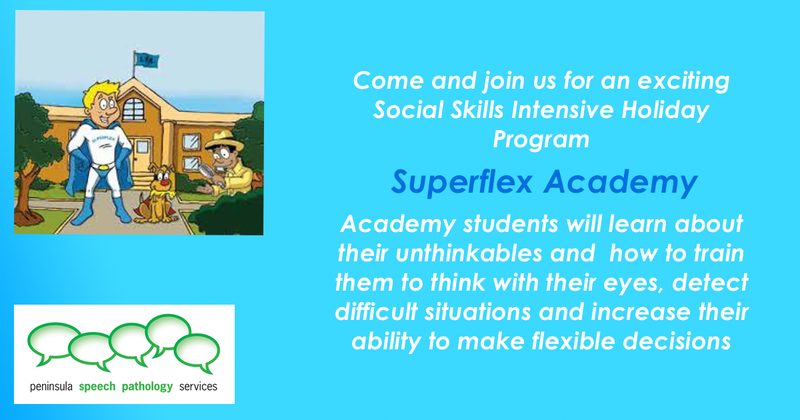 We will use superflex terminology, through watching videos, playing games and role play. Cost: $425 (private) $435 (funding agency) Prepayment is required to reserve a place.